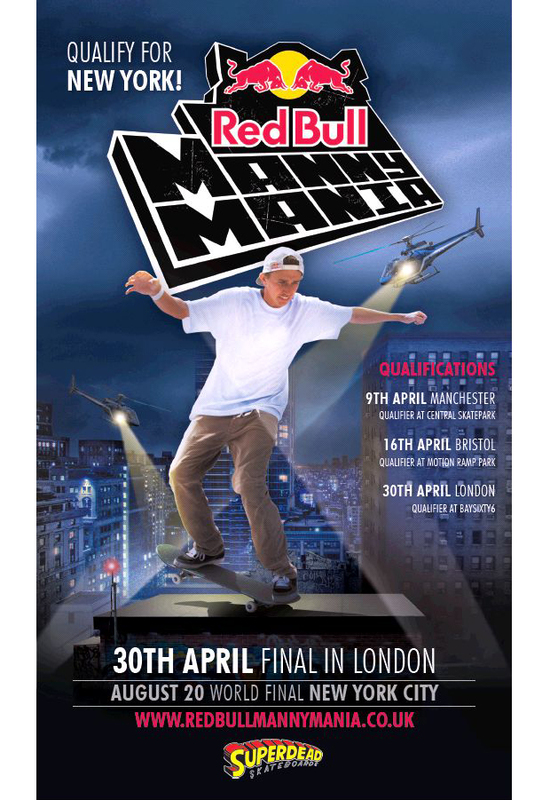 This month, Red Bull’s legendary Manny Mania contest comes to our shores with it’s qualifying rounds. We’ve already missed the Manchester leg of the competition’s early stages, but there’s still plenty time to get involved, with Bristol this weekend, and the London qualifier at the end of the month. For those unfamiliar with the name, Manny Mania is Red Bull’s regular, manual-based contest, which sees skaters from as young as 14 compete to win a chance to taking their skills to the New York City final and set it off against the world’s top pros. If you fancy your luck, or just want to head down and watch the action, Manny Mania takes place at Motion Ramp Park (Bristol) this Saturday, the 16th, with the London heat and the UK final being held at BaySixty6 on April 30th. Find our more at Red Bull Manny Mania.